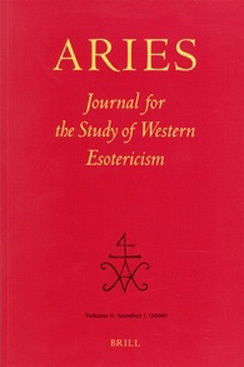 The Association for the Study of Esotericism (ASE) is seeking paper and panel proposals for its fourth International North American Conference on Esotericism to be held at the University of California, Davis. We are seeking proposals on topics in Western Esotericism, particularly related to themes exploring the relationships between esotericism, religion, and culture. Papers may focus on any one of these topics, or on a specific conjunction of topics, especially as it relates to esotericism, and we encourage papers that feature intellectual history or history of ideas. We invite proposals on magic, alchemy, astrology, ritual practice, mysticism, spiritualism, occultism, hermeticism, neo-paganism, contemporary esoteric movements and teachers, Asian influences on Western traditions, and other related topics. In addition to the broad theme of culture—which includes literature, art, philosophy, and drama, as well as religion—we would like to feature a methodological discussion (Esotericism Across the Disciplines). We also are interested in panels specifically on mysticism. ASE regards esotericism as an interdisciplinary field of research and we invite scholars from all disciplines to share their research and writings in support of a cross-fertilization of perspectives. We welcome scholars from a wide range of areas, including anthropology, American studies, art history, history, intellectual history, religious studies, literature, philosophy, psychology, medieval studies, sociology—the full range of academic disciplines and fields.. In order to encourage graduate study in the field, we will offer a modest prize for the best graduate student paper presented. Our initial deadline for panel or paper proposal submission is 30 December, 2011. No attachments, please: simply copy and paste your abstract into plain text email. Individual abstracts should be limited to one or two paragraphs, and must indicate academic affiliation and/or other academic qualifications. Independent scholars are welcome to submit proposals. Please note that our previous conference was at maximum capacity, so it is best to submit your proposal sooner rather than later. We hope to post a preliminary list of accepted proposals early in 2012. 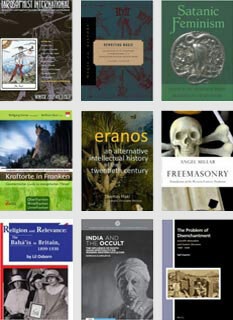 Possible venues for the publication of conference papers include the book series Studies in Esotericism (this will be the fourth volume in the series). An additional announcement will be forthcoming on the 2012 ASE conference, with information on location, hotels, and conference registration for speakers and ASE members.